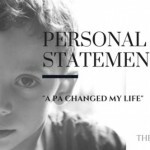 In this second installment of my special week-long introductory session of the personal statement workshop, we are pulling essays submitted from the comments section through our free essay submission process and providing you, and our users, with a more thorough analysis of their essays. This second submission is by Justine. It details her progression from an adolescent overcoming a heart condition to a pharmacy technician at the age of 19 discovering a love for medicine, a new-found focus in college and now, a desire to use her medical training to make a difference in the lives of others. As always, use this as a guide to see where you can improve your writing, and respect the work of others. It should go without saying this is not yours, so don’t plagiarize. I was sitting in the examination room of the cardiology office with tears slowly streaming down. My father could read the sign of disappointment on my face as the cardiologist briefly explains my EKG results with what seemed as indifference to my situation. At the age of 15 a cardiologist diagnosed me with a heart condition called as Lown–Ganong–Levine syndrome. However, The cardiologist was not completely certain as to the causation of my irregular heartbeat and referred me to a specialized cardiologist. Being an athletic girl who played soccer at an extremely competitive level I was perplexed as to why I was unexpectedly experiencing these alarming symptoms due to an irregular and very rapid heartbeat. Multiple procedures and four cardiologists later I was forced to retire from competitive soccer and left without answers. The most frustrating part of this entire process is what seemed as the lack of compassion and empathy from these doctors. I was left heartbroken with responses like “Just stop playing soccer if that’s when your heart bothers you” and “maybe you should find a new hobby”. This feeling of disappointment from the insensitive doctors made me realize I want to be a person who provides admirable healthcare to patients in a caring way. Through my experiences and also investing time job shadowing a physician assistant (PA) and doctor have further solidified my desire to become a PA. A doctor and PA are both knowledgeable, but a PA is able to spend more quality time with the patient as opposed to a doctor who is on a strict schedule because their time is very valuable. This additional time allows the PA to interact with patient and gain the patient’s trust. When I was 19 years old I taught myself the foundation to medicine by becoming a certified and registered pharmacy technician. Over the past 6 years I have worked in various pharmacy settings ranging from retail to hospital positions. By excelling at my job and taking the extra steps to absorb as much knowledge as possible, I can interpret sigs on prescriptions, know which medications are used for specific therapies, understand how medications should be taken for optimum results, and fully grasp the process insurance companies use to cover medications. As a PA I will be able to exercise this information by providing accurate and speedy care. Knowing that a patient must first try Omeprazole before prescribing Nexium in order for the insurance company to cover Nexium allows the patient to quickly treat their GERD without wasting valuable time. Currently, I work for a company that provides medications, durable medical equipment, and skilled nursing and rehabilitative care to medically fragile infants and children. We care for children that are genetically born with a defect, which impairs their ability to ingest or digest food. Others are born without congenital defects, but experience a traumatic event, such as a near drowning experience or tragic car accident, which leaves them with debilitated. I may not directly interact with these children on a daily basis, but seeing their faces light up when I do justifies all the care, precision, and hard work I put into my job. This gratification motivates me to further my career in the healthcare field and become a PA so that I am able to provide more direct patient care and see these smiling faces on a daily basis. Not only has my work experience proved that I’m ready to dedicate myself toward becoming a PA, but my schoolwork has as well. When I first started college I can honestly say I wasn’t mentally ready due to a lack of focus. I placed more emphasis on trivial things, like hanging out with my friends instead of studying. It was uncharacteristic of me to be failing classes, as I was the girl who graduated high school 23rd in a class of 900 students because of my 4.1 GPA. I lost sight of my goals in the beginning of college and soon realized my priorities. After my realization, I spent dramatically less time with my friends and more time with my books. Managing my time and taking the proper amount of time to prepare for my tests improved my grades. Although I adore being a pharmacy technician, it hasn’t fulfilled my need for patient care. I want to participate more directly than I currently can, I want to be much more hands on. With that being said, I would like to step out of the background and move towards the forefront of patient care. I want to be the person with the proper skill sets and medical knowledge so that I can help others live a life of the highest quality possible. 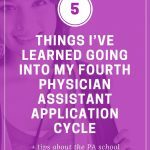 As a PA there’s a choice of many career paths ranging from assisting in surgery to working in a pediatric office. 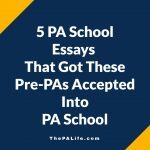 Therefore, becoming a PA opens countless doors and opportunities for intellectual, personal, and professional growth, while simultaneously serving the needs of others. Becoming a PA is exactly the path for me. If there's anything positive to say about your diagnosis at age 15 is the tremendous insight it gave you about the medical profession. You're smart to open your essay that way. The other things you write about are good, too. It's important to explain why your grades weren't great, and to talk about your adult experiences. This is a very good start to your statement. I say good start because there are some issue. Some are grammatical, such as using past tense and present tense in the same few sentences and placing quotation marks inside of punctuation. 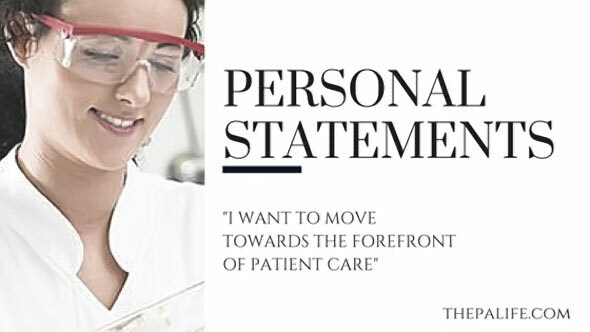 Other examples — writing the singular word doctor and then referring to the doctor as "their," and saying "foundation to" instead of "foundation of." 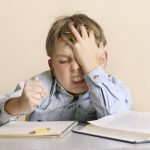 Although these are fairly minor errors and very common, when I interviewed Admissions Directors and faculty, all said grammar errors could be fatal to the application. There are two ways to really make your essay shine. One is structure and the second is content. Structurally, you'd move the section about your shadowing experiences from the first paragraph to a new third paragraph. You'll have to change some of the way you've written your essay to make it work, but that's part of the process. As to content, you'd shorten your first paragraph (I'll show you below) and use the extra space to write about your shadowing experiences. You'll do this for two reasons. One, every person from admissions I spoke with said, "Keep your personal story short. A few sentences is enough." Secondly, you want to show your readers that you know what it takes to do the job, and then tie your skills to some of those requirements. 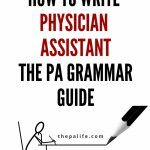 I'm not talking about making a list of PA job duties, but rather to describe a case or an overview of what you learned by shadowing, and how some of your personal skills (not clinical as you've already done that when describing your pharmacy work) fit in with the profession. Take out the "therefore" in your conclusion. It takes away from the strength of your sentence. I'm sitting in the examination room of the cardiology office with tears slowly streaming. My father could read the sign of disappointment on my face as the cardiologist briefly explains my EKG results with what seems as indifference to my situation. At the age of 15 I am diagnosed with a heart condition called as Lown–Ganong–Levine syndrome. Multiple procedures and four cardiologists later, I was forced to retire from competitive soccer and left without answers. The most frustrating part of this entire process was the lack of compassion and empathy from doctors who said, “Just stop playing soccer if that’s when your heart bothers you” and “Maybe you should find a new hobby." This insensitivity made me realize I want to be a person who provides admirable healthcare to patients in a caring way. 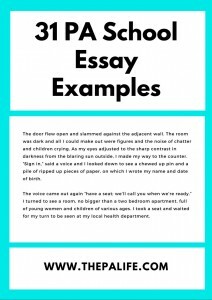 Look at your essay and see where you have extra words. There are many of them. 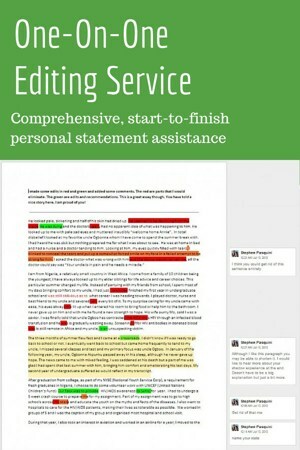 Cut ruthlessly to make your essay as concise as possible and focused on the essentials. Are you struggling to find the right words for your essay? Are you looking to give your personal statement a final "polish" before you hit send on your CASPA application? Do you need somebody to proofread your essay for spelling or grammar errors (the proverbial "nail in the coffin" when it comes to your essay)? 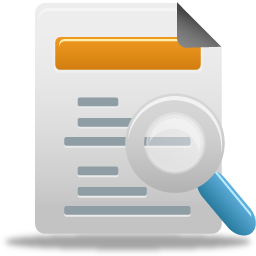 Do you need help with a supplemental application? Don't wait any longer. 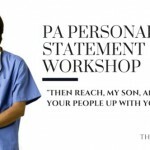 We have interviewed PA school administrators from across the country to find out exactly what it is they are looking for in your personal statement. We work one-on-one with PA school applicants like yourself and customize your experience to fit your needs. 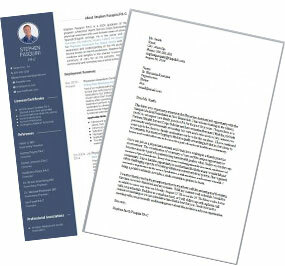 We also have an excellent track record, i.e., our clients get into PA school. We are currently accepting essays in all iterations. We have flexible pricing and can do everything from a single one-time edit to a full-service review that will take you from beginning to a finished product. 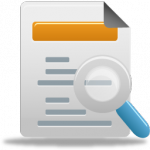 Click here to submit your essay or learn more about our service. Are you enjoying this workshop? Before you go, make sure to sign up for automatic updates from the blog or subscribe with Feedly. And if you haven't already, sign up for my FREE email newsletter (down below) or connect with me on Facebook or Twitter. I’ll definitely respond, and I look forward to meeting you! Cheers!